“Outlander” Red Carpet Premiere Pics! In a new article for The Telegraph, Diana Gabaldon shares with us a few outsider thoughts on the eve of Scotland’s big referendum. In the piece, she writes about how she believes the Jacobite uprising can inform us about Scottish independence, and relates the historic event to our own American war of independence. You can read the full article over at The Telegraph. Scotland Now has acquired some new set photos of the Outlander cast filming some of the final season one episodes in the seaside town of Troon, Scotland. 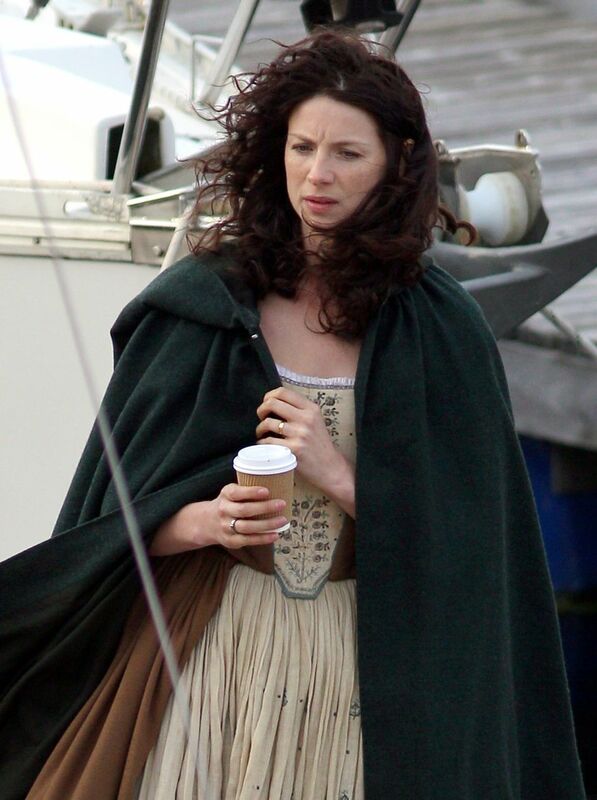 The photos feature Caitriona, Sam, Duncan, and set extras, along with a fantastic period ship that they are all filming aboard. 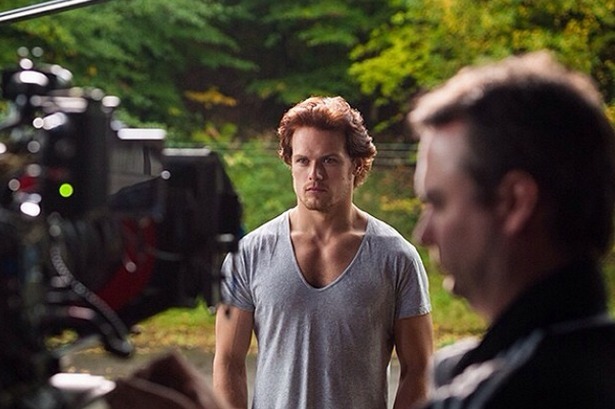 You can view all of their set photos over at Scotland Now. 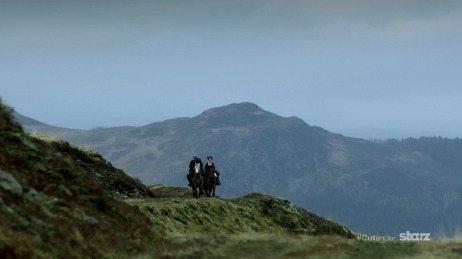 In one of their newest on-set videos, Starz goes behind-the-scenes with the cast of Outlander to talk about how Scotland’s beauty has influenced the series and their characters. See what the cast and crew had to say about the bonny land over here on their site! 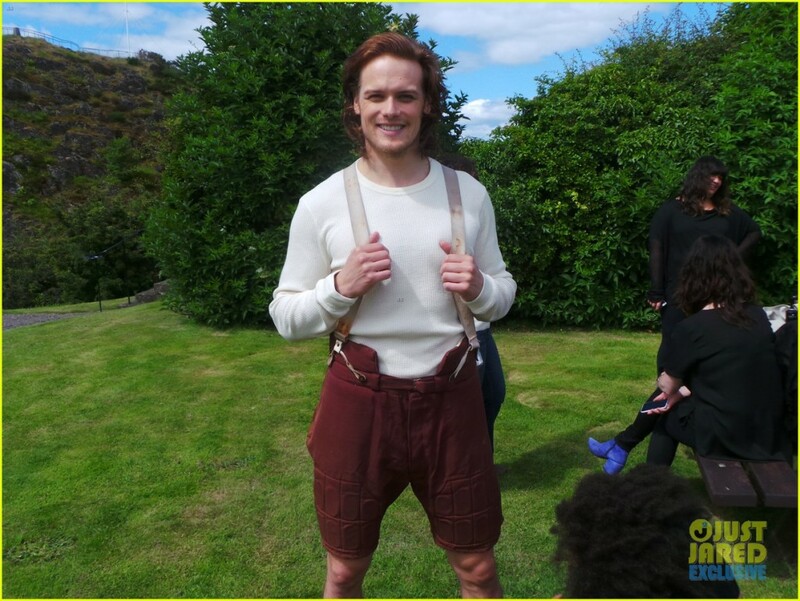 Sam Heughan has ditched the kilt in favor of some lederhosen (yes, you read that right) in a new photo shoot for Just Jared. The photos, which are part of the Just Jared Spotlight Series, offer a behind-the-scenes look at their upcoming exclusive interview and photos, which hit their website this Thursday. 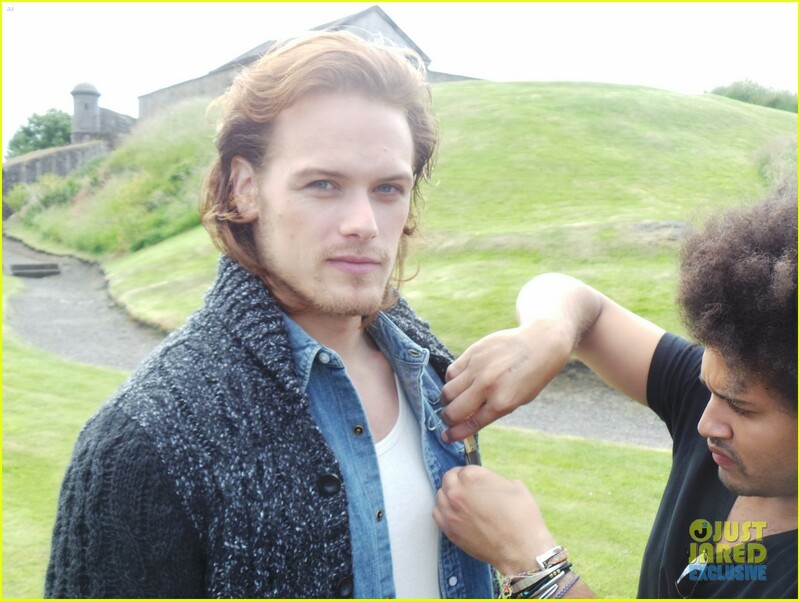 We’ll be sure to post the final product when it becomes available, but for now, you can see all of their behind-the-scenes pics HERE! Want to win the trip of a lifetime? 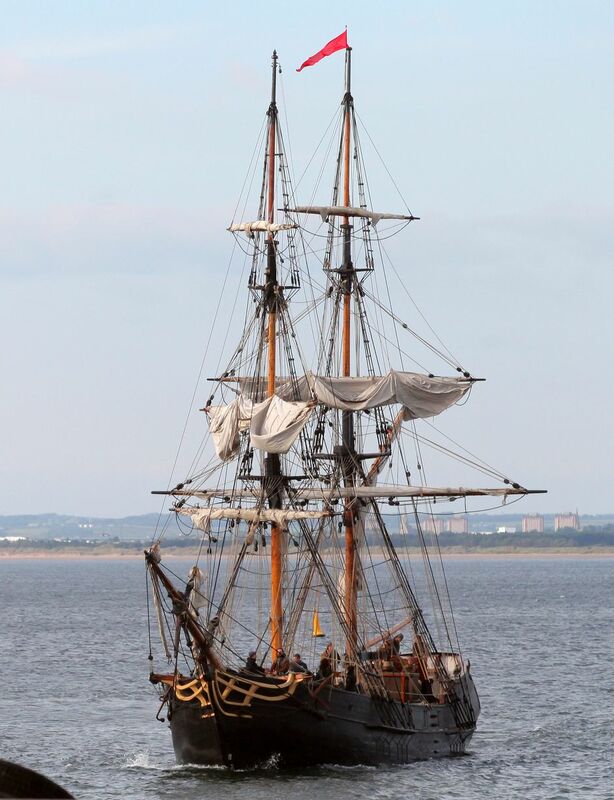 Entertainment Weekly is giving away a trip for two to Scotland to visit the set of Outlander! In addition to the grand prize, 25 second place winners will receive a signed copy of Outlander, as well as a copy of Dragonfly In Amber. You can enter daily HERE (offer only valid in the US, excluding Hawaii and Alaska). Good luck, fellow Outlanders! 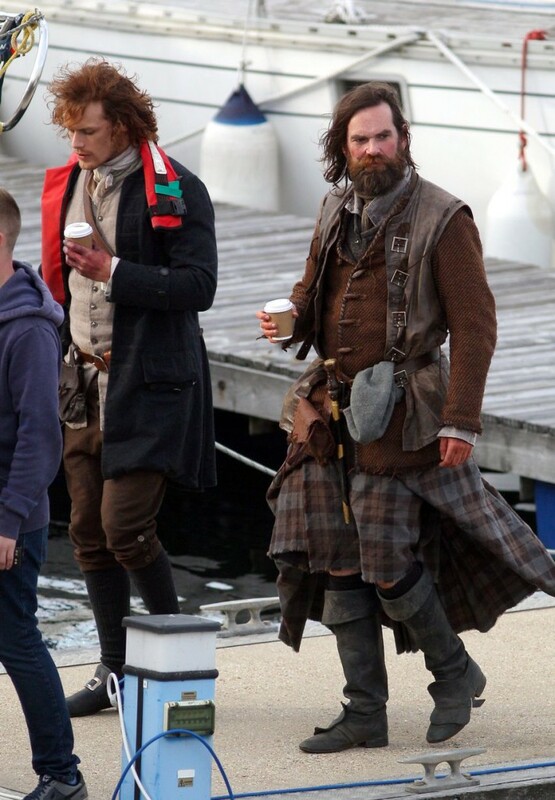 Scotland Now has created a list of nine reasons why they believe Outlander will be a hit all around the world, which you can read all about here on their site!